Q. How are they with kids? 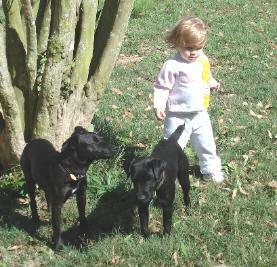 Our Patterdales have proven to be outgoing and friendly toward children as well as adults. but we have never known any of our Patterdales to be ill tempered toward any people. Q. How are they with other dogs? 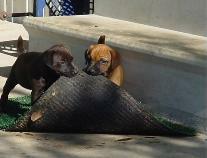 emphasize the importance of socialization and basic obedience training, as with any breed. Q. Are they difficult to house train? Q. I don't go hunting. 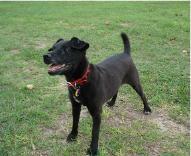 Will my Patterdale be happy? for helpful information and links. Q. 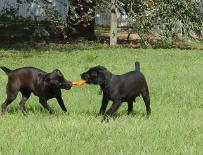 What's the difference between a Patterdale Terrier and a Fell Terrier? 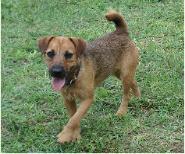 The Patterdale developed as a type of Fell terrier. Q. Do they shed much? vital to a Patterdale Terrier's well being. Q. 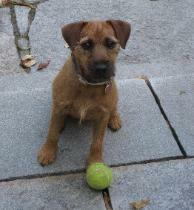 How big is a Patterdale? How much does it weigh? What colors are they? height is that which is suited to the game you hunt. (chocolate). See the breed standard for "specifications"! Q. 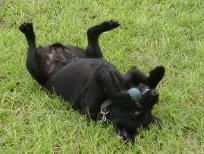 Is the Patterdale Terrier AKC or FCI recognized? 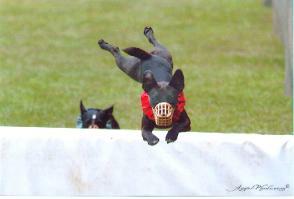 The Patterdale Terrier is NOT recognized by AKC or FCI. Q. 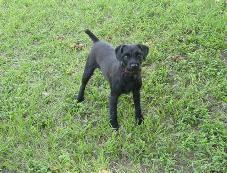 How do I register my Patterdale? 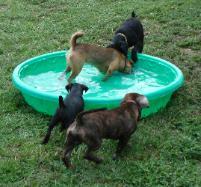 organization registers only Patterdale Terriers.